Enjoy the top 1 famous quotes, sayings and quotations by Warner Oland. The werewolf is neither man nor wolf, but a satanic creature with the worst qualities of both. Want to see more pictures of Warner Oland quotes? 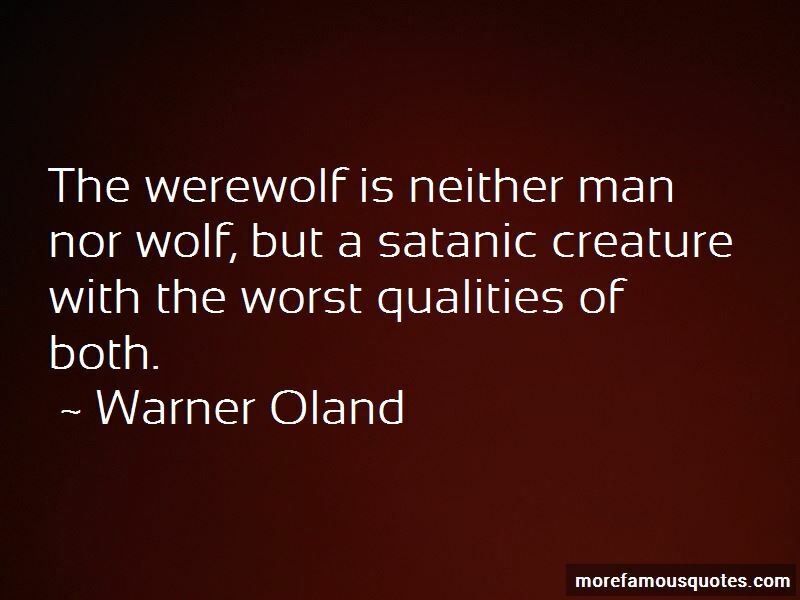 Click on image of Warner Oland quotes to view full size.